After a few very enjoyable days in the Harmony Islands, spent kayacking, paddle boarding and talking to the other occasional yachties stopping by, I moved on today. It was a rather long day, with a stop at Savary Island where I had never been. I took a long walk up and down the island and then went on to the Copeland Islands. Very pretty, but the best spots to anchor were already taken. 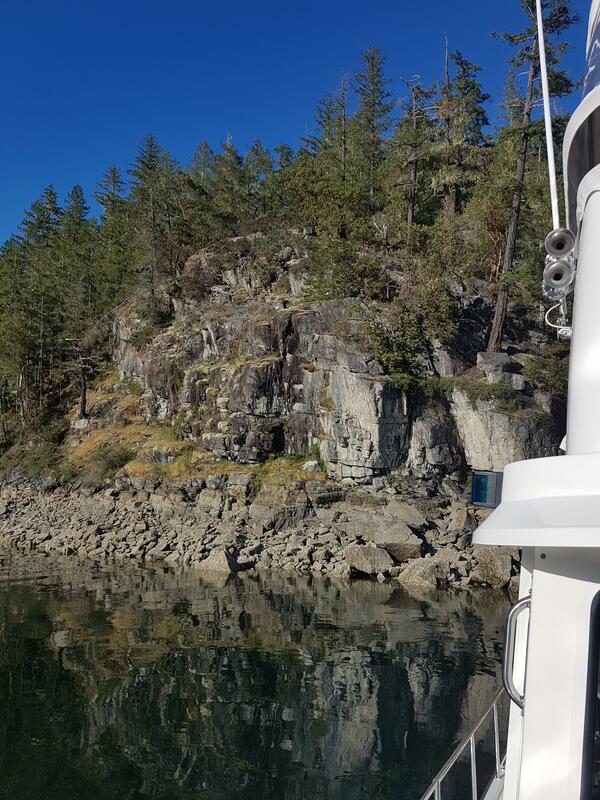 Now I am in Grace Harbour, anchored at one of my favourite spots anywhere, in front of a steep, west facing cliff face, secured with a shore tie. I like this place because I can enjoy a wonderful sunset, and then the stone face radiates off the heat of the day for the evening.